Oktane18: Okta aims to secure all websites and apps for free with new Onee App API offering. Okta has laid out its aim to make online security easier and more affordable for all websites and mobile apps with its latest API platform. The security firm has today revealed the launch of Okta API products for One App, which it says can help secure corporate and consumer apps and websites. Okta says the launch was motivated by the increasing need of businesses of all sizes to build out a sophisticated digital experience that can also feature reliable security. The company says it has over 33,000 developers building on the Okta network, and has signed up over 240 new customers over the past year. The company has even made the new tools available free of charge when using the "Identity by Okta" brand on a website or app. Okta's API Products is currently used by customers from start-ups to multinationals, and the company is now hoping that any app development team can benefit from its latest release for increases security. Among the new API offerings are the ability to quickly and easily add authentication options into a website or mobile app, along with SMS-based multi-factor authentication, and social logins. Also included is a centralised identity management service which allows easier oversight of users, groups, apps, devices and policies for internal or external IT teams. “Protecting identities is hard, and building a secure authentication, authorisation and user management stack for your application is even harder. 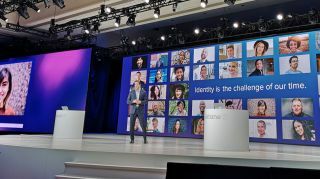 The vast number of breaches and massive extent of data loss suggests that product and engineering teams do not typically excel at building identity and authentication,” said Okta CEO and co-founder, Todd McKinnon. The new services is available for Okta customers to use from today.